ShearComfort's Premium Fleece Universal Seat Covers are crafted from a very comfortable, high-end material that makes an excellent alternative to real sheepskin. These seat covers are sidless on backrest, making them air-bag compatible. They come with a fitted non-slip skirt around the base of the seat to keep the seat cover firmly in place. Made from 100% acrylic, this machine-washable, non-shedding product looks and feels just like sheepskin and provides excellent comfort on car seats or office chairs. You have not selected a color! You have not selected the quantity! You have not selected an air bag option! Do you have Air bags in your Seat? 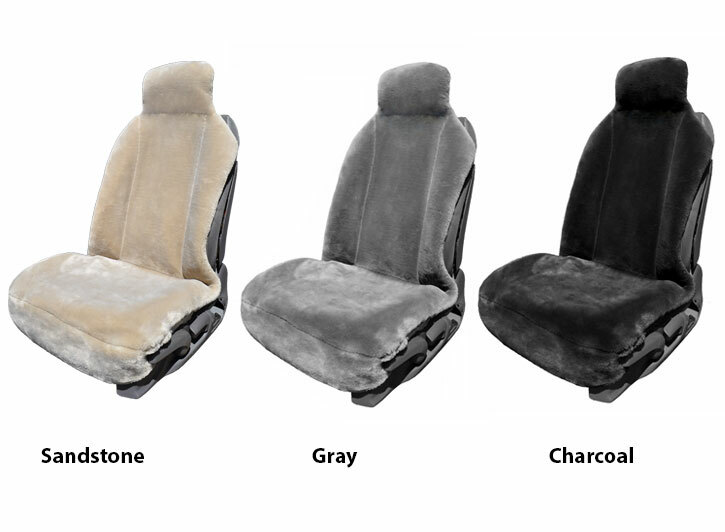 Order your Premium Fleece Seat Covers! Guaranteed fit on all custom seat cover orders. We have 30 years experience in the seat cover industry. 100% secure online order processing. Product Review: Totally love my new fleece seat cover. I spent a lot of time researching and am so happy I found this cover after returning several I had ordered on Amazon. The quality, craftsmanship and comfort is 5 star!!!! Product Review: Theyre great. I enjoy drivin my truck now.